Sign Up for Our Sandos Loyalty Program in Two Easy Steps… Free! With Sandos, you’ll be rewarded for going on vacation! Our Sandos4u loyalty program has been designed to benefit our dear guests for each of their visits at our All Inclusive beach resorts. As a Sandos4u member, you’ll receive points for your stay at any Sandos hotel; then, you can exchange your points to receive the reward of your choice, whether it’s a gift, a discount off your next vacation, or an upgrade to a higher room category. And best of all… it won’t cost you a thing! And that’s it! You’re done! 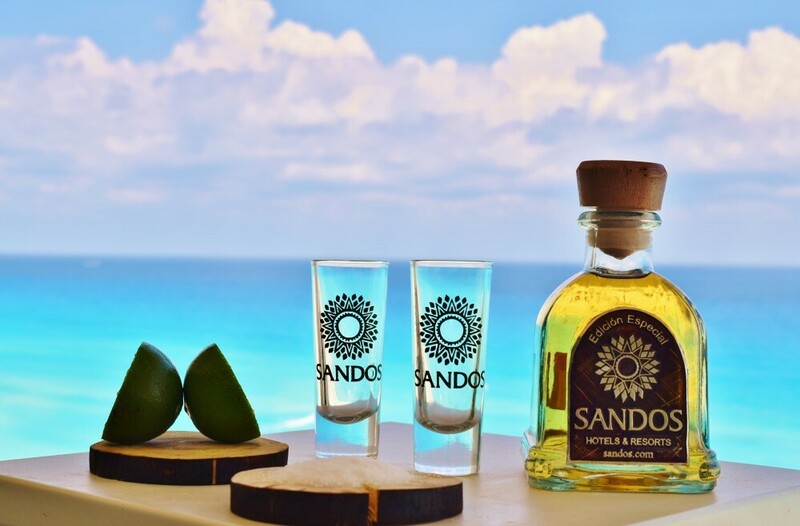 You’re already a Sandos4u member and you can start accumulating your points for all of your stays at any of our hotels in Mexico or Spain. Speaking of points, let’s take a few seconds to see what you can get in exchange for your points. When you accumulate your points, you can exchange them for rewards starting on your next stay at Sandos. 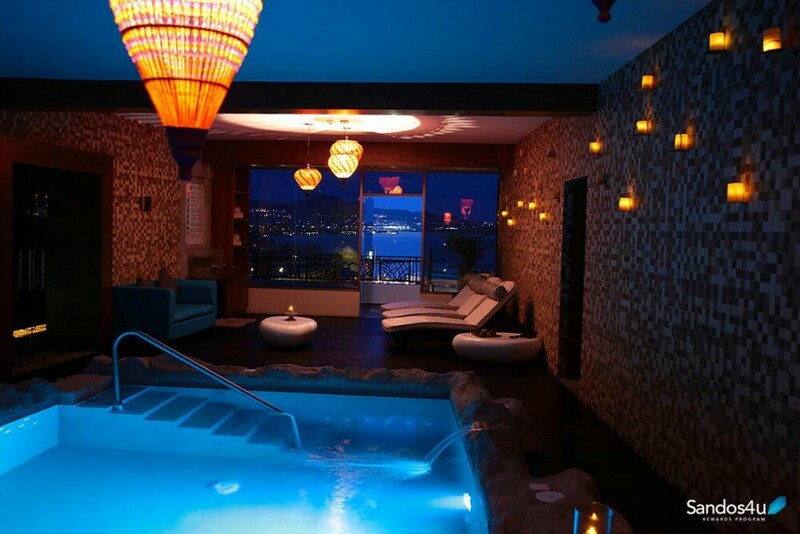 We offer you a wide variety of options to choose, from gifts like Sandos hats, bathrobes and t-shirts, to luxuries like room upgrades, romantic dinners, and body treatments at our spas. You’ll also find Sandos4u discounts for your next vacation with us, including exclusive discounts on your birthday month. Click here to see the full catalog of Sandos4u rewards at all of our All Inclusive hotels. To sweeten the deal, we’re also offering a few details to help you get more Sandos4u points! First, if you’ve already stayed with us before, don’t worry: all of your previous visits from the past two years count towards your points. You also get 50 points just for signing up as a Sandos4u member! And remember, your points are valid for any Sandos resort, whether it’s one of our properties in Spain or in Mexico. To find out all the ways you can accumulate more points, click here to visit our Frequently Asked Questions page. It would be a great pleasure for us to welcome you to your home away from home: any of our resorts in Mexico or Spain. Remember, as a Sandos4u member, you can use your vacation at Sandos to get excellent rewards and upgrades on your next stay. Visit us at Sandos4u.com or click here to follow us on Facebook! ← Our Playa del Carmen Resort Is Eco-Verified for 2017! A New Sandos Hotel Opens in Ibiza! Hi Caroline! That’s great news, thanks so much for choosing us. Don’t forget that you can use last year’s stay to get more Sandos4u points. See you in a few months! Hi Brandi and Robert! Thank you so much for your kind comments. We’re so happy you have enjoyed your stays here… and we hope to see you here for many anniversaries to come! En Mayo será nuestra segunda visita familiar. Es increíble lo que han hecho en 2 años para el entretenimiento de niños en Caracol. Felicidades! A friend told us about this ‘place’ in Cabo…We decided to taked thier advice, but didn’t know it was going to be a life changing event. The resort’s location is perfect, close to downtown and beautiful beaches free of vendors. The resort is wonderful, great food, relaxing environment with fantastic views. AND lastly the most important and amazing part, the people, just a wonderful helpful staff that just want you to really enjoy your time there. Proof is in the pudding, invite friends of ours, now they go and invite others friends of ours! Enjoy and I can’t wait for my next trip there! Hi Jon! You will LOVE IT. And if you ever miss Sandos Caracol, you also have included access to Caracol during the day. See you soon!